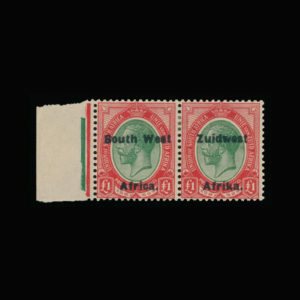 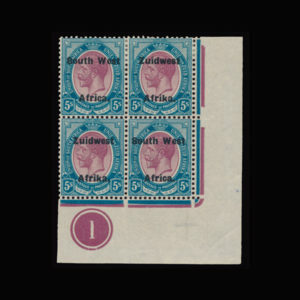 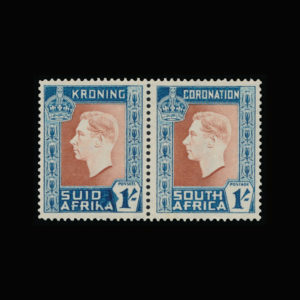 South Africa 1930-1945 ½d. 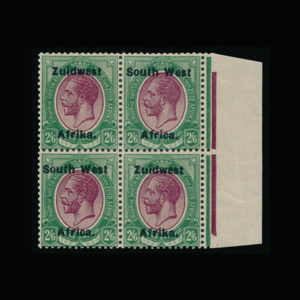 black and green. 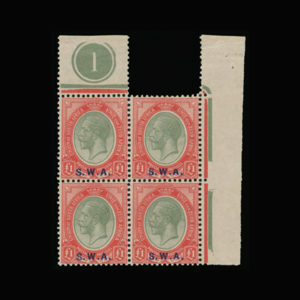 Left marginal strip of five. 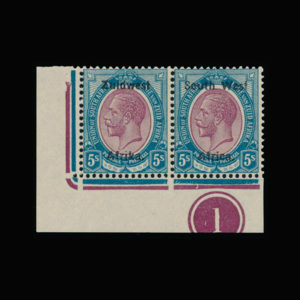 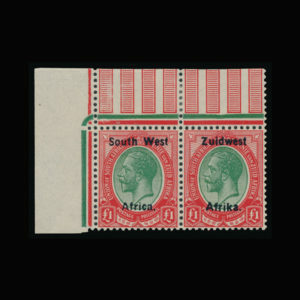 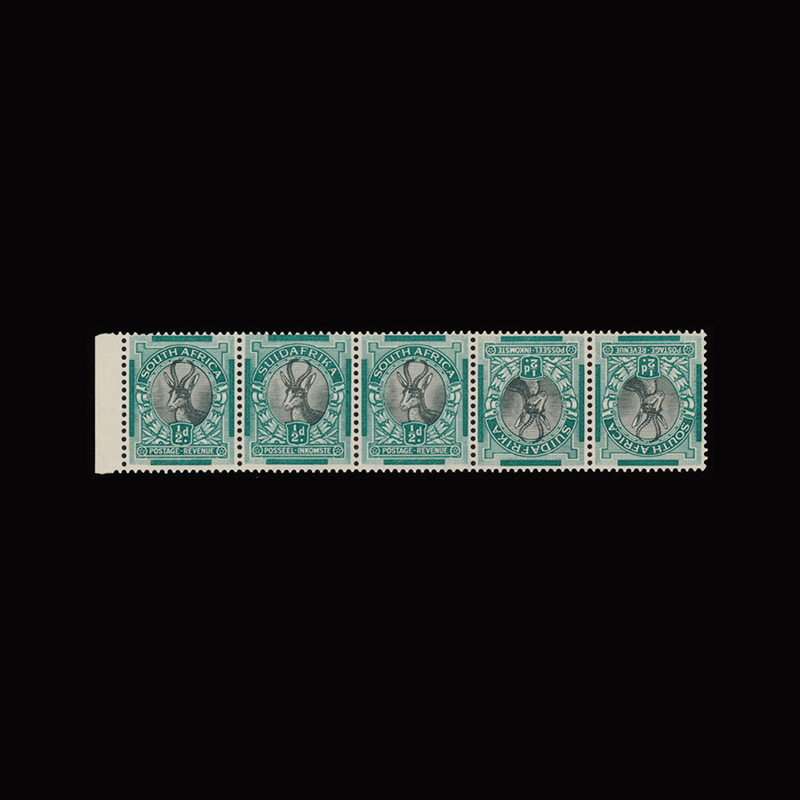 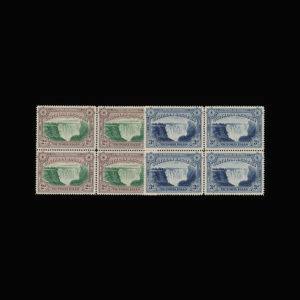 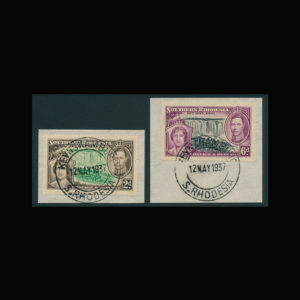 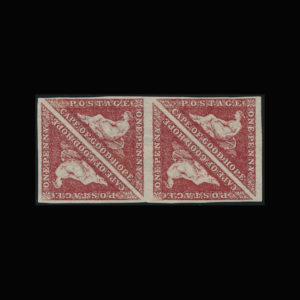 Variety, ‘Tete-beche pair (stamps 3 and )’. 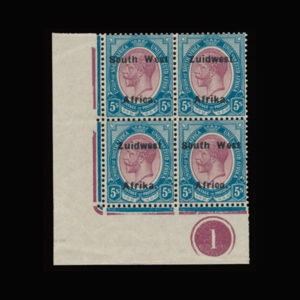 Superb lightly mounted mint. 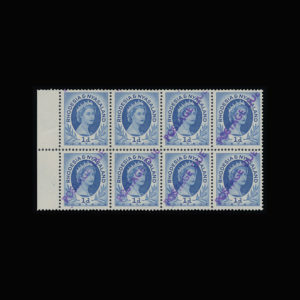 British Philatelic Association Certificate (2015).